I have 3 Lutron LED recessed lights (9W) with individual driver each(came with the lights) connected in parallel and wired to a Lutron dimmable compatible switch. For some reason when switch is set to full dimm mode and turned on, the last LED is not coming on. When it's set to anything a bit brighter than full dimm it comes on but slightly dimmer. The first 2 lights are working great. When I start on full power and then go all the way down to full dimm the third light stays on but also slightly dimmer. 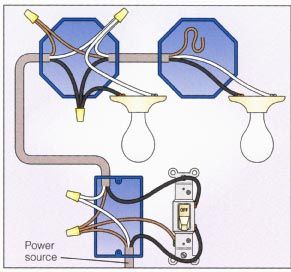 Lights are feeding from receptacle which is on 15A circuit. What could be the cause for this behavior?